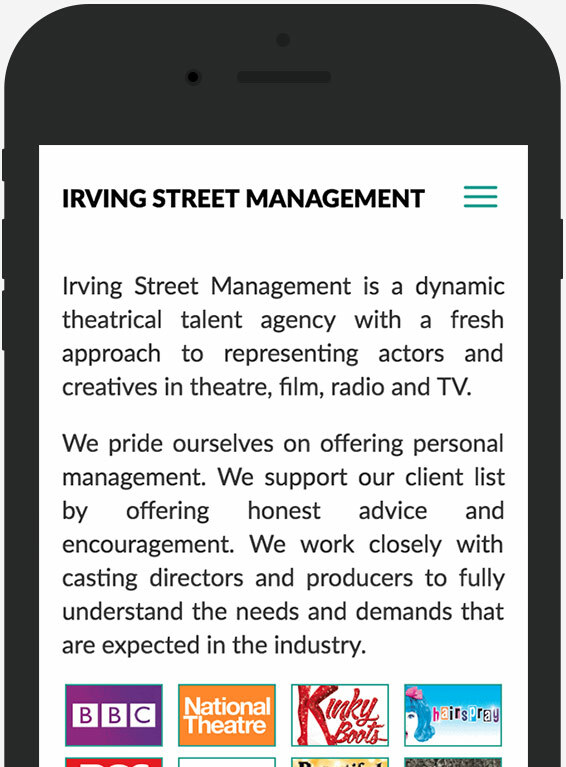 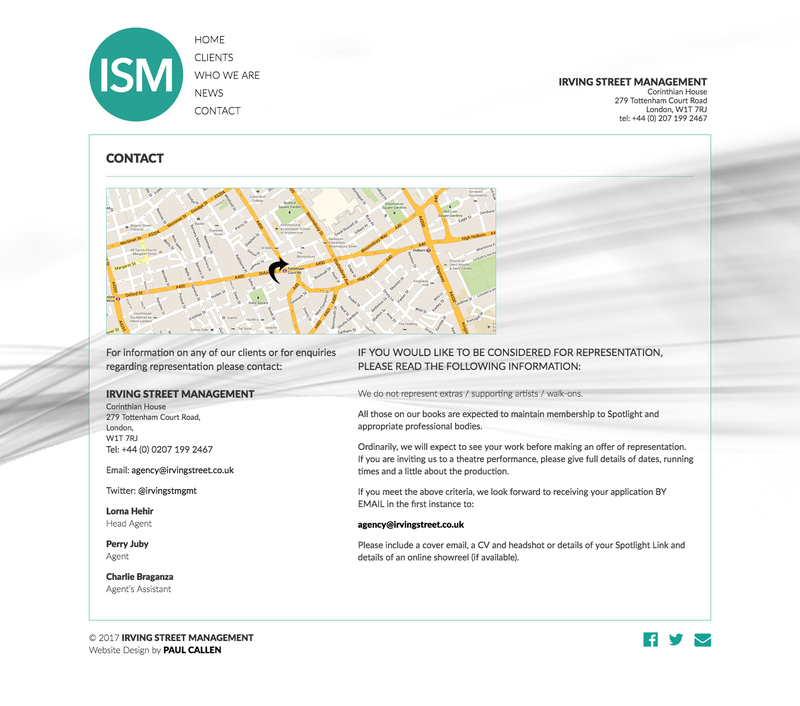 IRVING STREET is a theatrical production company and theatrical agency for actors. 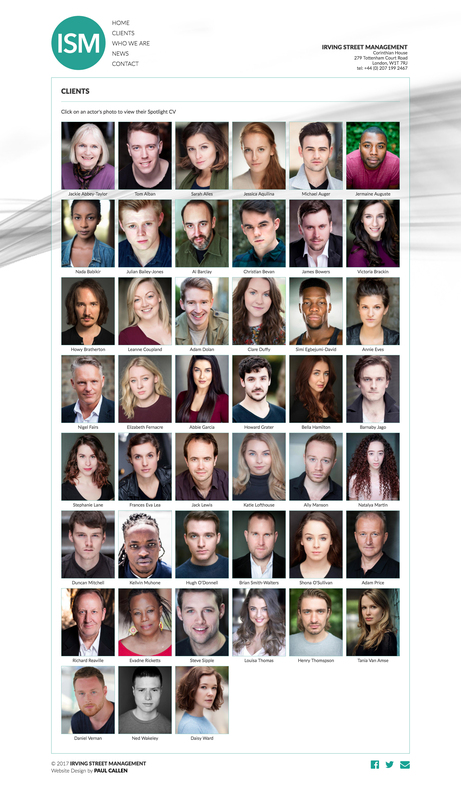 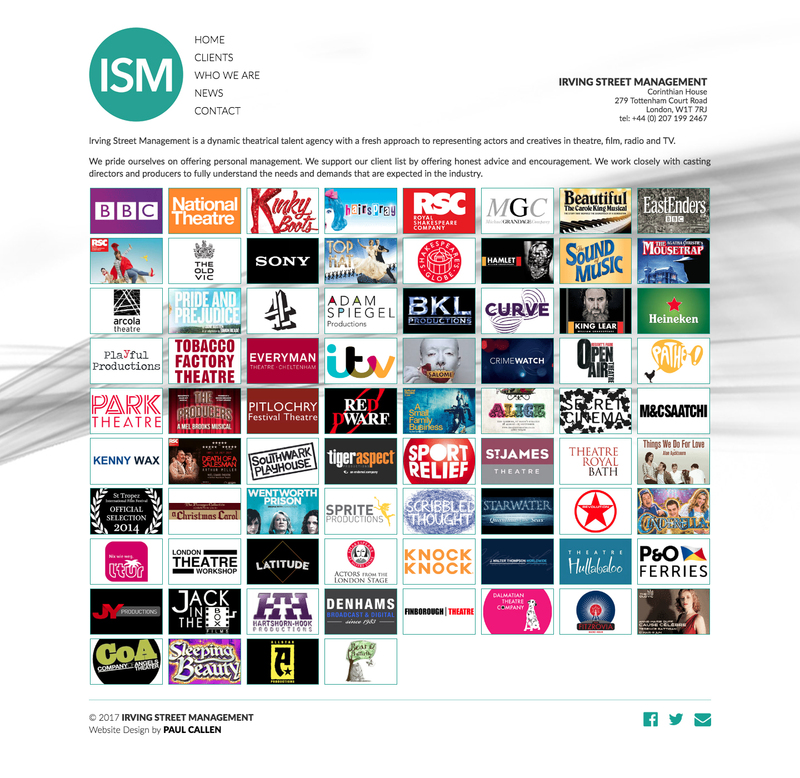 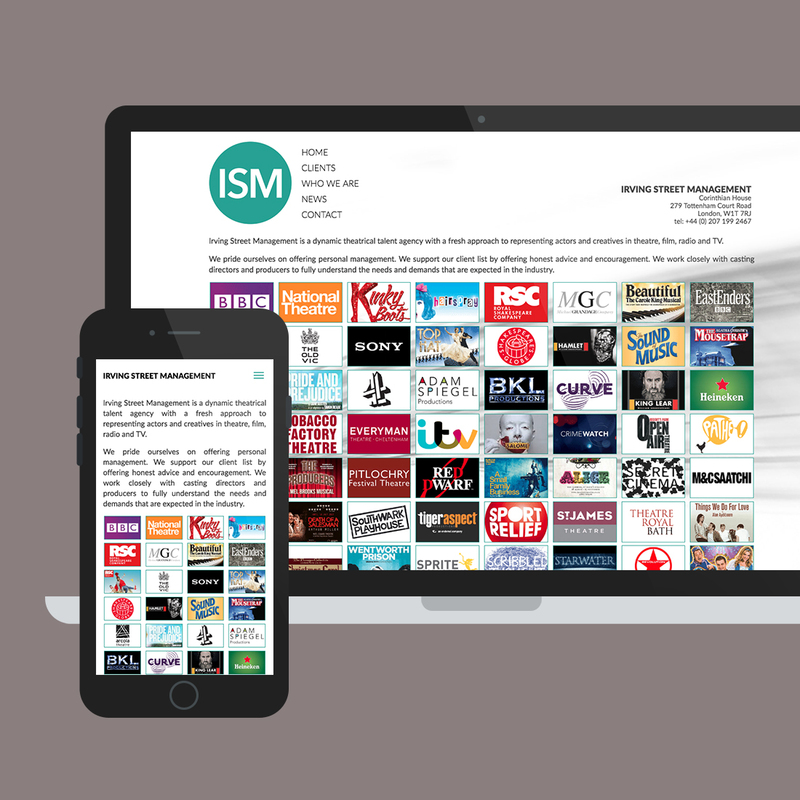 They wanted a clean sophisticated site to feature their work as producers and to not only list their actors but to showcase the many varied clients their actors have worked for. 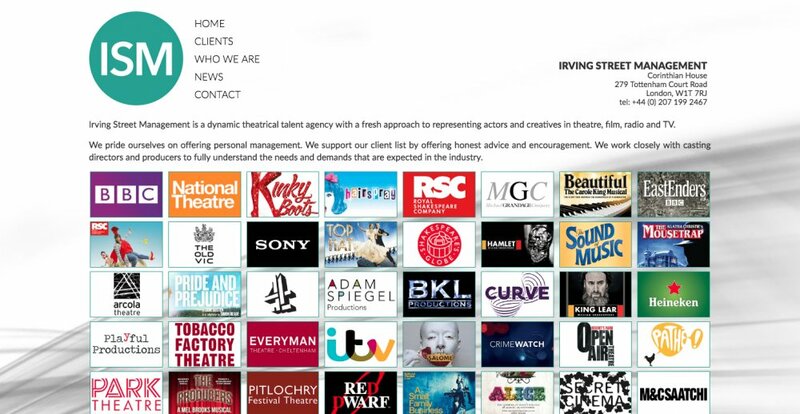 This culminated colourful grid of logos on the agency’s home page.